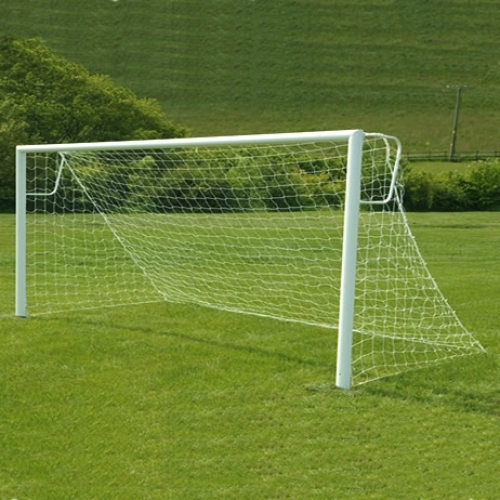 Small sided aluminium football goals 16' x 6' (4.88m x 1.83m) socketed in to the ground. Top quality and super strong but lightweight aluminium goals, uprights and crossbars are manufactured from 80mm round shaped tubing 2.5mm thick with 4 reinforcing extrusions for extra strength. Polyester powder coated white.